The Fabupharm Swakop Masters – Timeout Beach Volleyball Series 2016 will take place on Saturday 22 and Sunday 23 October at the Mole Beach, Swakopmund. The event will have the following categories: 2-a-side Men, Ladies, Social, Youth, LEGEND Men, LEGEND Ladies & 4-a-side Mixed Social (1 women on court at all times). The organisers of the event said that they are very excited to welcome back Fabupharm as tournament sponsor after sponsoring the same event in 2015. “We are very thankful for their support and are looking forward to working with them again for this event. 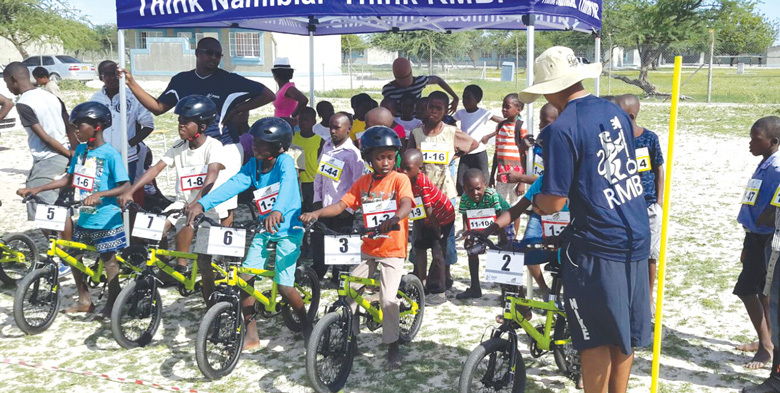 Fabupharm has kindly sponsored N$6,000 in prizes which divided up amongst all the categories,” they added. Meanwhile, the fifth Timeout Beach Volleyball Series 2016 event, the Fabupharm Swakop Masters, will see the top Namibian beach volleyball athletes; Interpack King & Queen winner; Simone von Wietersheim, U19 World Championship Internationals athletes; Fabian Pfeifer, Daniel Pfeifer, & Michaela Böhringer. “We will also see the past Legends of volleyball in Namibia hitting the sand again and dusting of the skills, including; Selma Nahambo, John Beukes, Ruben Delie & Karin Curschmann,” they said. The games will start at 8am and the finals are set to be around 1pm on Sunday. The Final event hosted by Timeout Beach Volleyball Academy in 2016 will be the Bank Windhoek Volleybal Bash set for 17 December at the Long Beach in Swakopmund. In association with Windhoek Draught Beach Bash. A 4-a-side Mixed Beach Volleyball Tournament with a great party afterwards.